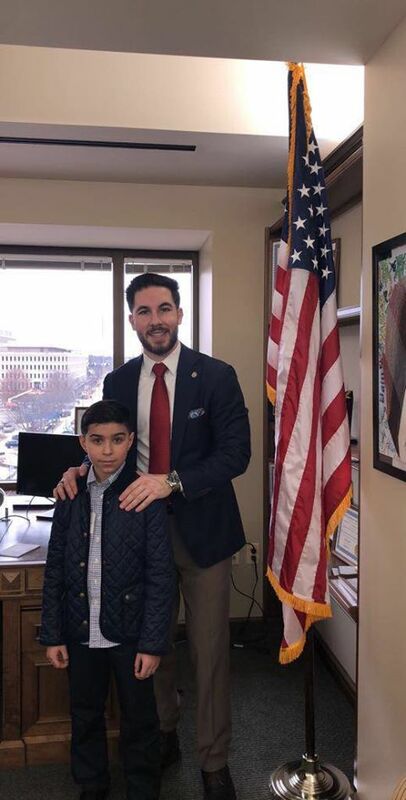 LANSING — State Rep. Abdallah Hammoud invited 9-year-old Mahdi Nassrallah to be a legislator for the day at his office and the capitol building in Lansing on Thursday, January 10. 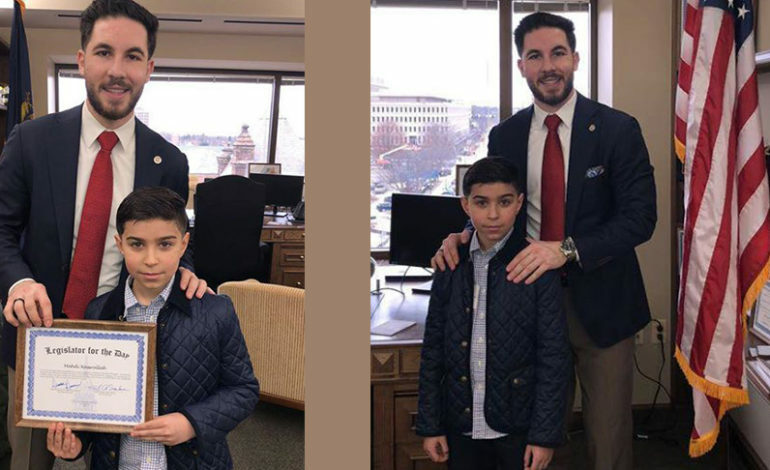 Mahdi, a fourth grade student at Haigh Elementary in Dearborn, presented Hammoud with his ideas to help the environment in Michigan, which included wind turbines placed on bridges. Mahdi said he met other representatives, created a mock legislative bill and offered advice to Hammoud through a portion of the day. Mahdi’s grandfather, Nourredine Nassrallah, and his parents, Malak and Youssef Nassrallah, accompanied him on his trip to Lansing. She said Hammoud invited Madhi to the capitol after meeting him at a public event at a Biggby Coffee. Madhi gave a speech to legislators during the visit about his hopes for a cleaner environment in Michigan. “The definition of ‘pure’ is clean and unpolluted,” he said in the speech. “But our air is not clean. We can fix our pollution … if we put air turbines around the state of Michigan so we can achieve our goal. “So will we just sit here and do nothing about pollution or will we stand up and do something?” he said. 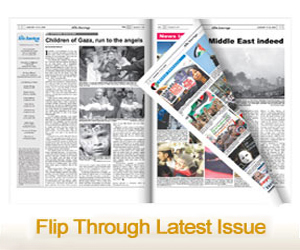 Madhi said he hopes to go into politics someday. “I want to make big things happen,” he said.